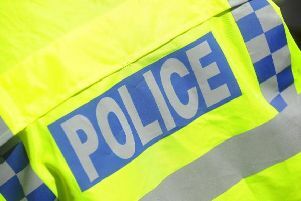 Fifty police officers raided a pub in Daventry town centre on Friday night. Sgt Sam Dobbs, tweeting from is account @sgtsamdobbs, said 50 tactical support officers in protective gear executed a drugs warrant at the Plume of Feathers in Daventry. One person was arrested, Sgt Dobbs said. “Officers determining who will be searched. People not suspected involved to be released, past passive drugs dog. Cell van at the ready. “Pub secured – nobody allowed in/out. Passive and active drugs dogs deployed. All staff and customers detained under warrant. “Cell bus deployed - one under arrest,” he said.